An indispensable compendium of technical know-how, inspirational projects, and troubleshooting tips. Just like having a painting tutor on call 24 hours a day this book is packed with inspiration and know-how for both beginners and more experienced painters. With over 200 tips and step-by-step techniques, this is a comprehensive guide to watercolour painting with quick fixes and solutions provided throughout for commonly encountered problems. 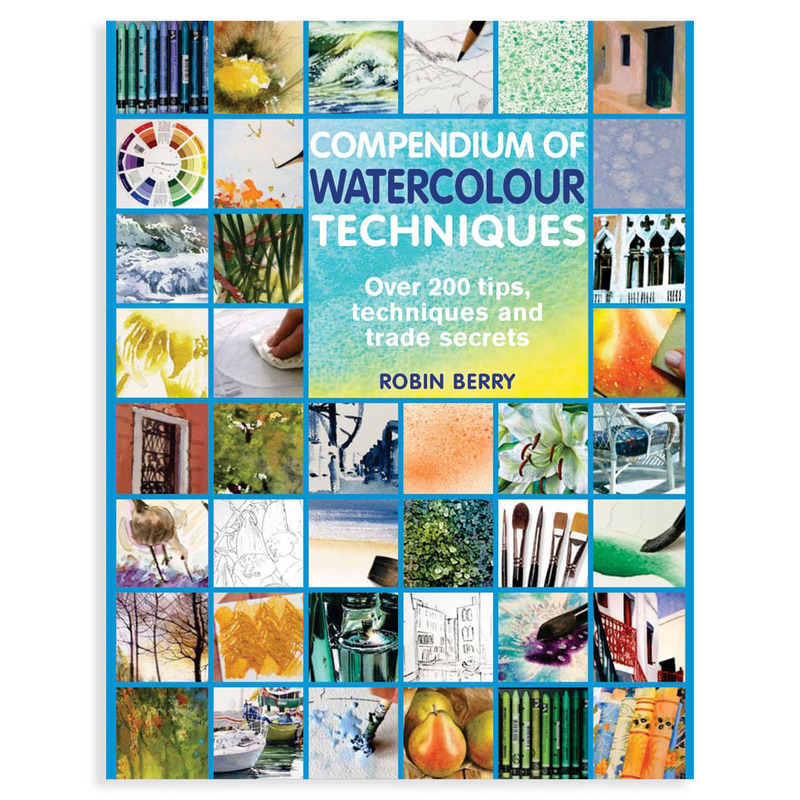 This book covers all kinds of watercolour artists techniques, from choosing the right materials to creating the most stunning visual effects combining essential painting basics with expert tips, tricks, and short cuts. Robin Berry has been a professional artist for 35 years having had two separate artistic careers. In the first 20years she was a nationally recognised porcelain potter and sculptor and her distinctive white-on-white pieces wereexhibited and sold in galleries and shops across the US. Robin's second artistic life emerged as she changed herdirection, focusing exclusively on transparent watercolour. She is a signature member of the Transparent Watercolor Society of America and Artists for Conservation. She was awarded the Ogden and Mary Pleissner Memorial Award by the American Watercolor Society in 2006, and the St. Cuthbert Mill Award by Watercolor West that same year.Her work has been published in Splash 7, Splash 9 and Splash 10, and Watercolor Secrets (published2010), aswell as The American Artist magazine, Watercolor Magic and the Watercolor Magic 2006 calendar. Robin has alsoexhibited in the internationally prestigious Birds in Art at the Leigh Yawkey Woodson Art Museum and has threegraphite paintings in their permanent collection. Robin Berry lives and works in Minneapolis, Minnesota. I have been looking for a book of tips and hints which would not only take me back to basics to help reinforce what I already know (and may well have forgotten!!!) but would also possibly shed light on some other areas I have been looking at and this book really does fit the bill. A big problem I have with painting is forgetting things I have read either on the internet or the ever increasing library of books I have so to have all this information gathered together in one book can only be a good thing!!! Robin starts at the beginning with a chapter on Getting Started, moving on to Painting, Choosing a Subject and finally Techniques. I have been painting for over 10 years and have been concentrating on various aspects of development, colour, tone, composition to name but a few, and this book offers tips and hints, over 200 of them in user friendly language with a few areas I would particularly like to mention, the first being composition. I have read and tried to digest aspects of this vast subject but often find myself bogged down by the complexity of all the principles and elements of design and often the complexity of the language used. However, here, they are explained and illustrated well including a very useful insert with some very simple illustrations for how to create a successful composition some of which I hadnt seen before. There is another really enlightening section on capturing motion with lots of illustrations for different subjects. Movement in a painting creates so much drama and life and here techniques are discussed with practical tips on brushstrokes, creating movement in people and animals and use of lost edges (music to the ears for those of us who are always trying to loosen up in our work). There is also a comprehensive step by step of a beautiful painting by Gerard Hendriks always a treat!!! The chapter on techniques is particularly good with more information on edges, lost, hard, soft and another section on splattering and throwing paint showing some vivid illustrations on the effects which can be achieved using these techniques. Other sections include how to exaggerate light, special effects, drama and glazing. There really are too many extremely useful sections in the book to mention them all here,it would be like writing another book!!! But what I have found is, it is packed full of information which I will go back to time and time again, it is written in simple readable languageand I think I would agree with the summary on the back of the book that this book does provide something for everyone, for both beginners and more experienced painters alike and would also like to add that the author is a lovely painter herself. The book is beautifully illustrated with the inclusion of some delightful work by a host of other painters too and I think it always helps if the work we are viewing to illustrate ideas and techniques is work we enjoy looking at and in a style we might aspire to achieve.